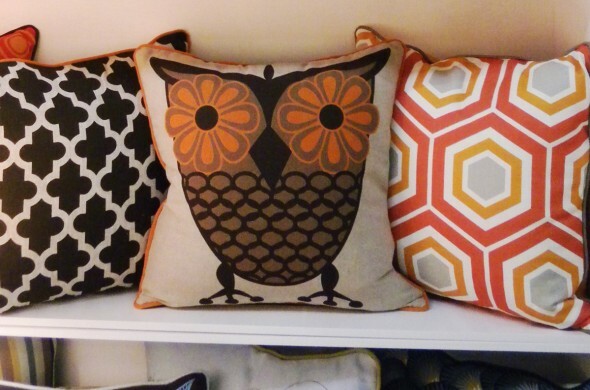 I walked past a store the other day and some pillows beckoned me inside. 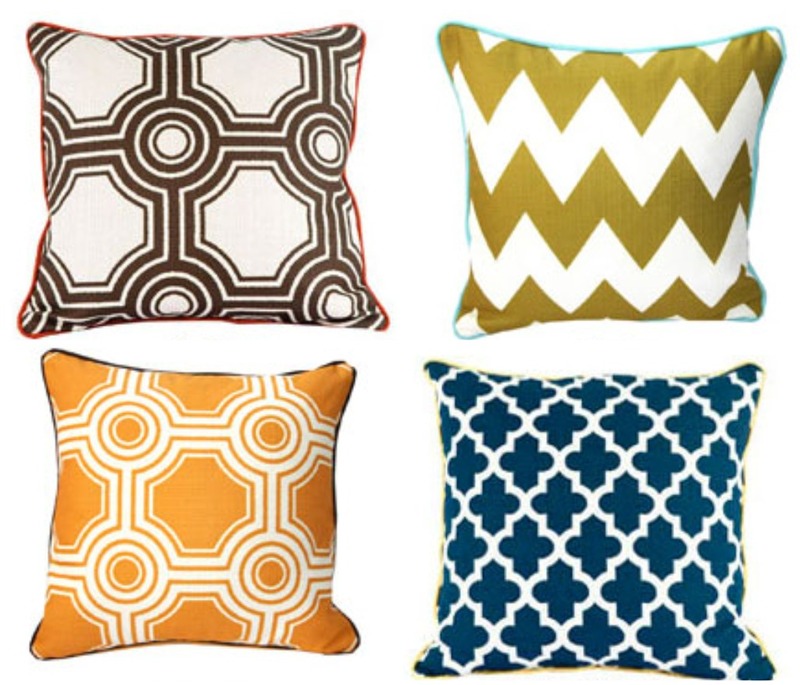 Pillows are such an easy way to change the look of your room and I am loving colorful geometrics these days. And this store had a lot. Which one(s) do you think I picked? 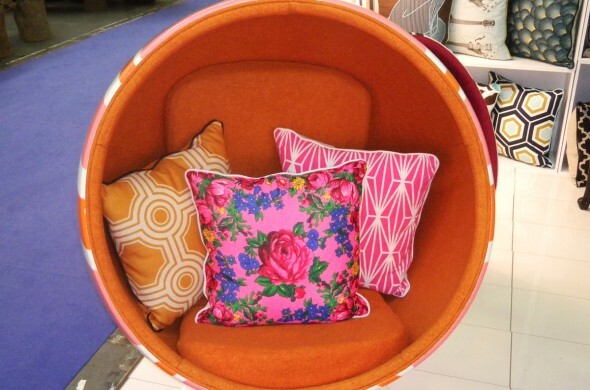 But it was not just the pillows that caught my eye ... the store was filled with a kaleidoscope of colors. 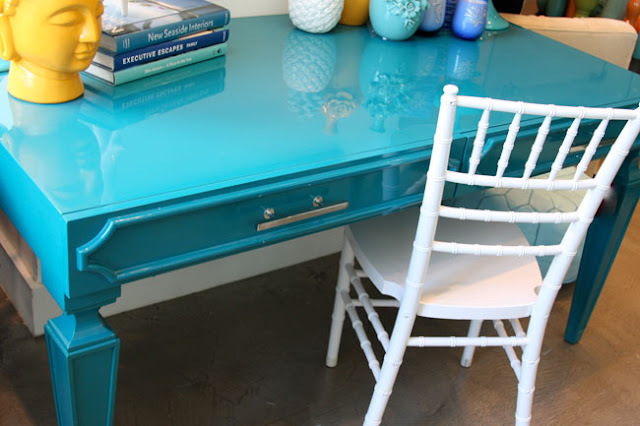 I would love to have this desk! 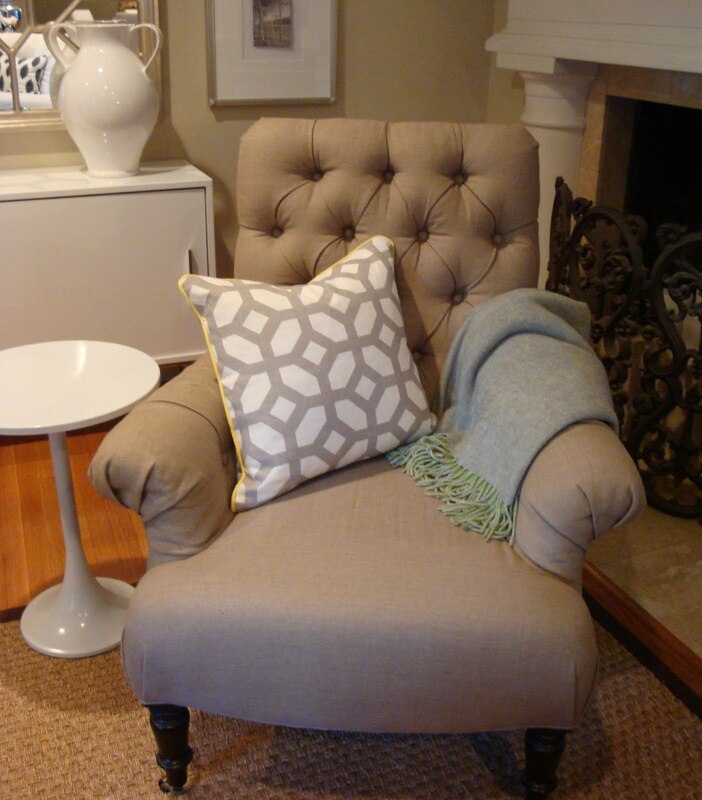 The furnishings are a little too modern for my more traditional home, but it was fun to look around and there were a lot of things I would love to have if I could start from scratch. 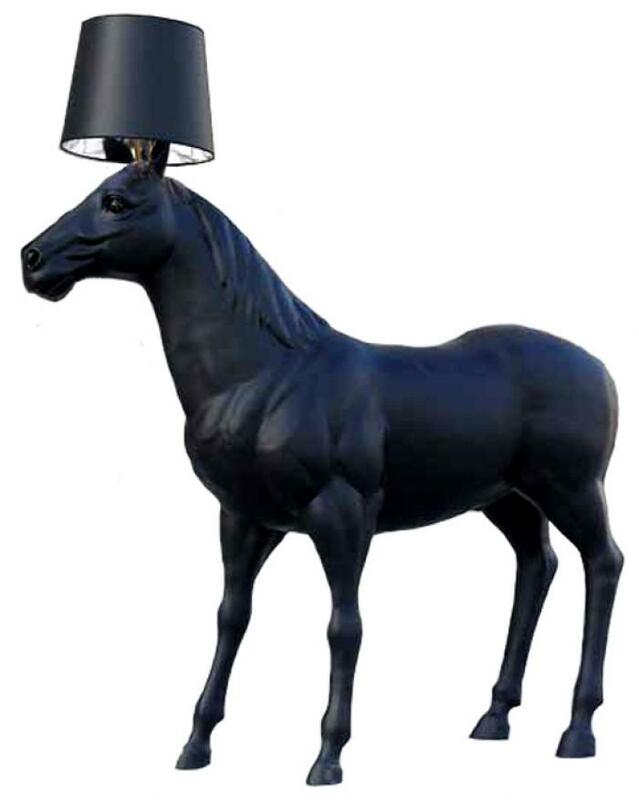 How would you feel about a life size horse lamp? It stands 97" tall. It would definitely be a conversation starter! 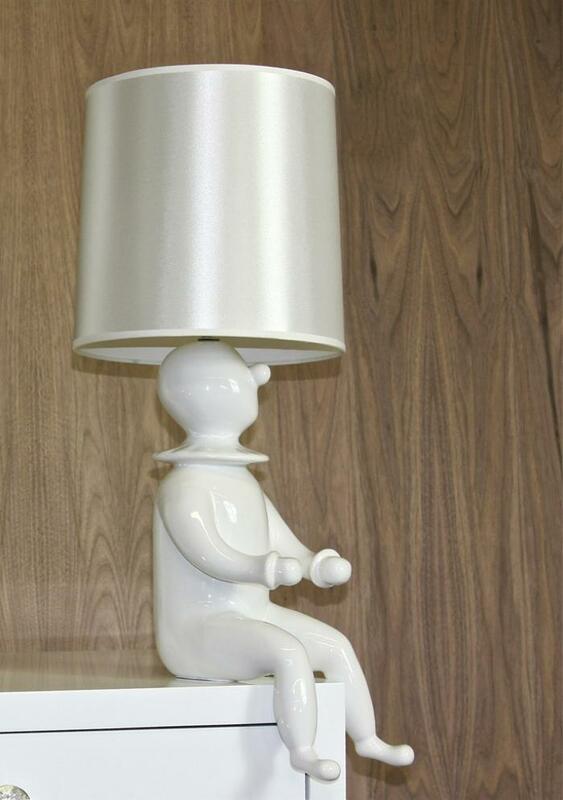 Or maybe this clown lamp would be more your style. I bet you thought I was going to get the owl pillow! If you are in the Newport Beach area, Room Service is in the Atrium Court in Fashion Island. They also have stores in Los Angeles and San Francisco. Or you can visit them online here. crazy about those black and whites, especially on the white covered chairs and sofa. Wow.. beautiful finds! I'm obsessed with pillows. They can add so much to a room. I also love that desk. What a great way to add some fun and make a great statement in a office. Okay this place is full of goodies! I love all their prints and that turqoise desk... you have a beautiful place! 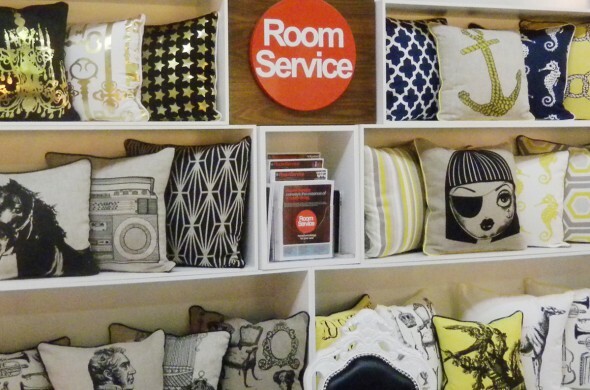 Loving all the pillows. They're fun. I love the one you got! In fact I love your whole room...really pretty! I passed that same store a month ago and had to go inside. All the bright fun colors just pull you in. The staff wasn't too friendly, which I was thankful for, since I was just browsing and didn't plan on buying anything. Makes me want to re-do a room with all those fun colors!